As I set up a new paint station in the place I had to make some adjustments to how I had them stored. In doing so, I was exploring some carousel options and here are a few I considered. The first are some not-too-costly buy-and-be-done-with-it options that make the most sense for someone with money and less time to deal with any hassles. Over on paintier.com, they have a number of choices which can hold 40, 80, 100, 120, or even more paints with custom solutions which you can check out here. A less expensive but also less elegant way to go might be to pick up a "12 in. 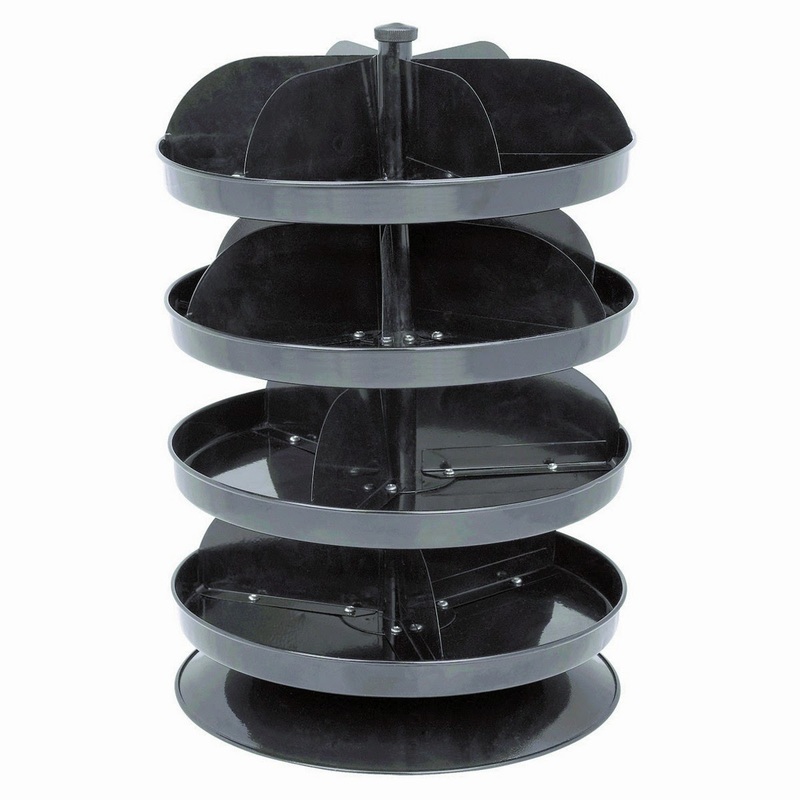 Four Tray Revolving Storage" unit from a tool store or online from harborfreight.com here. 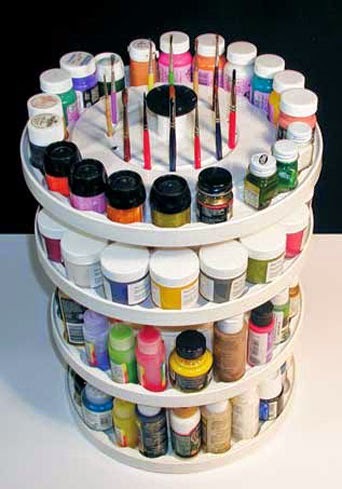 However, you might even decide to build your own unit as Squidgy Bidge shows on his YouTube channel in a video from some years back titled "How to make a Paint Carousel - Storing Modelling and Wargaming Paints." Enjoy.